I have to admit: I’m a complete novice when it comes to God of War. General life circumstances never really gave me access to the franchise (which is easily correctable at this point). Despite that, I was excited to dive in with this newest God of War. There was a lot of change I could come into that would ultimately be new for me. So how does it all resonate? Pretty awesomely! Let’s dive in. 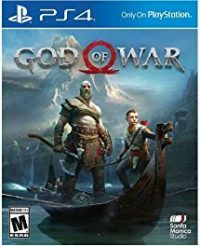 This God of War follows up many years later after the events of God of War III. We find Kratos living as a hermit with a son named Atreus in a land of Norse mythology. The boy is in his early teens and they’ve lost his mother, so their intent is to spread her ashes across the highest point in the realm (her request). They’ve been doing a fair job staying away from most civilization. Nobody seems to know who they are or that they are even around; the boy doesn’t even know his true godly roots. However, things start to unravel when a mysterious, godlike man appears and attacks Kratos. 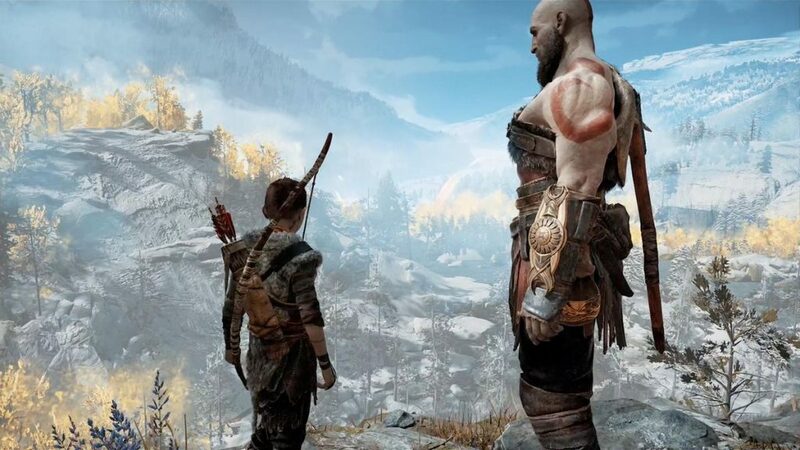 Unsure of who he is or why Odin’s family would be targeting him, Kratos and Atreus make their way to spread the ashes of the latter’s mother across the highest peak in the realm. Along the way, they clash, they bond, meet various compatriots, and battle plenty of enemies. At its root, it’s a story of Kratos dealing with his past so he can move forward in his future with his son. Ultimately, it’s a great story to experience. 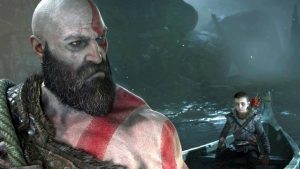 It does a fantastic job exploring the bonds of father and son even through the lens of a hardass like Kratos. It shows a lot of growth for the character and whether he can really hide what his past is like if he expects his child to perform a certain way or eventually be a better man. The problem with the story had to do with its pacing and how it impacted the focus. Because the game is so long and can take you in so many directions–especially if you throw on a lot of favors (side quests)–you can forget what the main goal is. You don’t lose the father-son bonding, but you definitely are not thinking about spreading the mother’s ashes. The last third of the game definitely picks up a lot of steam and wraps things up nicely. Atreus was a great character. His good-natured, excitable vibe is a nice contrast to Kratos’ stoic approach to basically everything. He helps introduce Kratos to the larger world of these realms and build newer relationships (especially with solid dwarf characters, Brok and Sindri). I liked the depth to his character despite the one mission set that clearly stands in for typical teenage angst (seriously, how many times did he need to say “whatever”?). His growth, alongside Kratos’, was engaging. The relationship was believable and interesting. But he’s also a major weapon in your fight. Packed with a quiver full of arrows (well, upwards of four), he can be used as a distraction or a legitimate way of defeating enemies, especially when you upgrade his bow, arrows, or armor. Personally, I found him to be incredibly useful for melee attacks and health provisions; he’ll be upgradable for various play styles. The story is told through a ton of changes to the franchise. For starters, you’ll be playing in an open world environment. I thought this worked well for this type of story and story needs in spite of the pacing issues. The Norse mythology is explored to various degrees but not too much through your “typical” lense of Odin or Thor. The inclusion of Atreus actually spikes the interest in exploring because he’s so eager to learn more; it helps open Kratos up. As with many open world games, you’ll steadily unlock various parts of the map. It’s not the greatest map to revisit as the zoom only works so well and it takes a while to access a fast travel system, but it gives some replayability to go back and revisit various challenges. The best way to ensure that you could complete upgrades was to complete side quests called favors. These were standard fare items like requests to defeat certain enemies or collect items, but the experience and hacksilver can prove to be invaluable. The same could be said of chests found along the way. Many chests were accessible immediately and had useful crafting components, but some chests were blocked with puzzles or other obstacles. Those were definitely worth the time to unlock so I could upgrade my maximum health and rage mode limits. Many of these side missions and unlocks didn’t feel like a chore. Instead, they showed a good sense of value, which I appreciated from the game. Some, such as realm terrors that commonly spit out incredibly difficult enemies at you, were definitely a chore, but are easily skipped without sacrificing too much of a chance at easily completing the game. Finally, I experienced a fair amount of updates throughout my playthrough. I never found any in-game issues; no crashes, glitches, or freezes. But the game was updated several times within a two week period. These were typically small and never appeared to drastically change up the game, but I felt it was worth noting so you may know what you are getting yourself into for the future. What Makes It Worthy My Time and Money? Despite my general lack of familiarity with the franchise going into this, I still loved the experience. I never felt alienated but instead right into place because I was effectively in the same position as Atreus, who was simply trying to get answers about his roots. The story works around its pacing issues to deliver something impactful and more than worth telling. The characters are engaging and show a good amount of growth. It’s an often brutal game in almost all the best ways (though sometimes annoyingly challenging). Sony Interactive Entertainment definitely knocked this one out of the park. 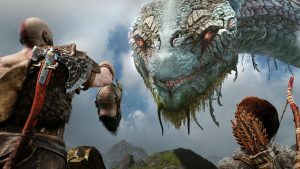 God of War is a great epic absolutely worth your time. A copy of the game was purchased by the reviewer and the game was played to completion.